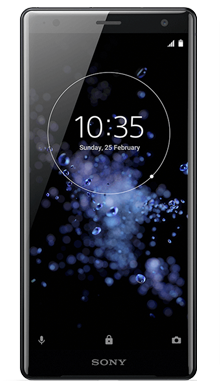 The Sony Xperia XZ2 Compact is the smaller sibling to the recently launched Xperia XZ2. Sony’s vision for this handset was to create an exceptional entertainment device. When it comes to smartphones, Sony is one of those manufacturers who you just know that you can rely on to produce good-looking, durable and intelligent handsets. With great design, robust protection and innovative internal technology, when you purchase a Sony Xperia phone, you can be confident that you’ve just invested in a handset that will go the extra mile. Their most recent releases have been even more impressive than ever before. The design has become even sleeker, with the brand daring to step away from their traditional, sharp-edged appearance and take a more elegant approach to the look of their phones. When you combine that with the latest developments in smartphone technology and reasonable prices to match, Sony really is starting to nail it when it comes to smartphone manufacturing, filling the void between the high-end brands and affordable budget handsets. 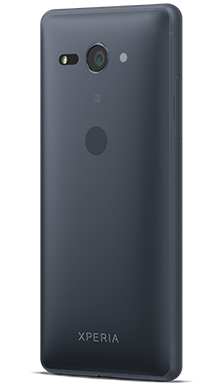 When the Xperia XZ2 Compact was released we half expected it to be a Sony repeat, featuring the traditional sharp-edged design that the brand has subconsciously made their design trademark. Bizarrely the XZ2 Compact could not be further from this concept. The XZ2 Compact features smooth, rounded edges that give it a neatly rounded feel which feels extremely comfortable in hand, following the curvature of the palm. It’s a relatively thick handset, coming in at 12.1mm thick, so while it’s compact in length, its a lot stockier than you might imagine. This does, however, give it a sturdy feel, and the XZ2 Compact certainly is a touch little handset. 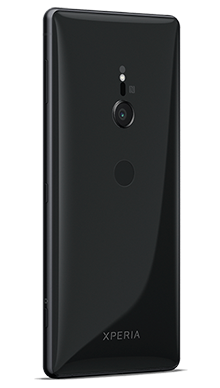 The addition of Gorilla Glass 5 across the front means that even the clumsiest smartphone owner will get on just fine with the XZ2 Compact. Both the XZ2 and the Compact version come in four high finish colours so there really is a handset for everyone; whatever your style, there’ll undoubtedly be a handset to suit your persona. The smaller nature of the XZ2 Compact obviously means that you lose a little on screen size compared to its larger stablemate. The display is significantly smaller at just 5 inches but thankfully still features the same technology as the larger XZ2, coming equipped with TRILUMINOS display for mobile. This technology means that the XZ2 Compact display quality is vibrant, rich and with exceptional contrast. However, this is adjustable if you find that the balance isn’t quite on point for you when you take the phone out of the box. The 18:9 aspect ratio means that you get as much screen space as possible, and the resolution of 1080 x 2160 pixels is a serious upgrade from the XZ1 Compact. Like the XZ2, there’s also HDR support, and many have claimed that the XZ2 Compact features the best quality small screen performance on the market. In all honesty, we weren’t expecting to be blown away by the sound quality on the XZ2 Compact, after all this is a small phone, and we expected a small sound to match. In reality, we were pleasantly surprised. The handset features a decent speaker setup that doesn’t sound too meek and mild and will still allow users a more than acceptable audio experience. Audiophiles will be happy to learn that Sony has bucked the trend of eliminating the headphone jack, so you don’t need to worry about investing in a pair of wireless headphones to enjoy your favourite tracks. One thing that really stood out to us when testing this phone, is that the XZ2 Compact still features a 19MP Motion Eye camera, like the larger handset, despite its much smaller size. This feature is a fantastic addition, which becomes even better when you realise just how good the camera is. Motion Eye technology means that the camera reacts to its surroundings much like the human eye. It makes for an impressive camera setup, particularly on a compact smartphone, and any photography enthusiasts will be impressed with what Sony has managed to do here. The XZ2 Compact also comes equipped with the capacity to record 4K video and super slow motion footage at 960 frames per second in full 1080p HD quality, so you can capture all of your most important memories in the highest quality. When it comes to watching your favourite TV programs and films on your XZ2 Compact, you’ll certainly appreciate the Sony Bravia TV technology which makes for a decent viewing experience; if your planning on downloading apps like Netflix and Amazon Video then you won’t be disappointed. For a small handset, the XZ2 Compact features some extremely impressive performance features. The handset runs on Qualcomm Snapdragon 845, which Sony claims to be their fastest processor yet. It provides a speedy, and responsive smartphone experience thanks to eight Kryo cores - four for performance and four for everyday use. As well as an impressive performance, the XZ2 Compact has also come out top when it comes to battery life. A non-removable 2870mAh battery cell is a lot smaller than larger Xperia XZ2, but the XZ2 Compact still performs well throughout the day with moderate use. Admittedly if you are constantly on your smartphone and you like the sound of the XZ2 Compact, then you may want to opt for the larger handset. Here at Fonehouse, we’re big fans of the Sony Xperia XZ2 Compact; it is certainly up there as one of our favourite compact handset releases. The design is a welcome relief from what we’re used to seeing from Sony, and the elegant curves make for a sophisticated handset with a premium feel. The display quality is fantastic for a phone of this size, even though you do lose a lot of size in the jump down from the larger handset. The audio experience is surprisingly decent for a compact handset, and traditionalists will appreciate that Sony has retained the headphone jack. A 19MP camera setup is a great bonus addition to the XZ2 Compact, and Motion Eye technology means that photos are delivered to an extremely high standard. Even though the XZ2 Compact’s battery is significantly smaller than its larger sibling, it still holds its own, and the Snapdragon processor deliver s a fantastic smartphone experience. Our main reason for loving the XZ2 Compact so much is that it doesn’t compromise on technology despite its compact nature. Sometimes you can lose a lot of great features when you jump from a flagship handset to a ‘lite’ version, but that is definitely not the case here. As one of the UK’s leading independent mobile phone retailers, the team at Fonehouse are delighted to be able to offer some of the country’s very best Sony Xperia deals. We’ve been providing the UK with mobile phones for almost 25 years, so you know that when you come to Fonehouse, you really are dealing with industry experts. 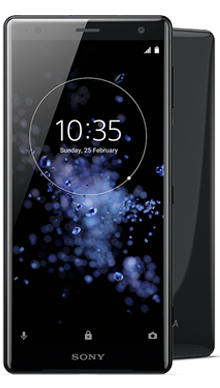 The Sony Xperia XZ2 Compact is a great handset for someone who doesn’t want to break the bank, but still wants a smartphone that feels high end, yet is compact enough to easily carry around when out and about. We have a huge range of incredible XZ2 Compact Vodafone deals on our site, with some great added extras to complete your new pay monthly contract, meaning that you can make the most of that great screen quality and Sony Bravia TV technology with a fantastic entertainment subscription. 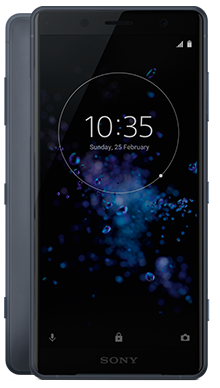 Or, if you’re looking for an EE pay monthly contract, then we also have some of the best Sony Xperia XZ2 Compact EE pay monthly deals on offer, giving you fantastic perks and loads of data. At Fonehouse we always want to make your shopping experience the best it can be, which is why we nearly always have great cashback offer to go hand in hand with our fantastic value pay monthly deals. If you’re looking for the XZ2 Compact SIM-free, then we can take care of that too. Here at Fonehouse, we have some of the lowest SIM-free prices, and, with our next day delivery service, you could have your XZ2 Compact the very next day for not a penny more! If you can’t find the best XZ2 Compact deal online or in our stores, then why not contact us on 0333 900 1133 and our UK based customer service team will be on hand to guide you to the perfect deal for you.